Signia (formerly known as Siemens) and Phonak hearing aid manufacturers continue to offer advances in hearing aid technology. Signia continues to offer more options for tinnitus treatment than the other manufacturers, so, if tinnitus is a big part of the communication difficulty, Signia aids are recommended. Nx hearing aids feature unique, built-in tinnitus therapies. Options: The Signia Cellion aid, which is rechargeable, has an IP68 rating, the highest rating in the hearing aid market for water resistance. The Nx Pure is available in two sizes, with the 13 battery offering double the battery life of the 312 battery. Neither requires a streamer for Bluetooth connections. Remote control: Signia now offers four apps that provide a variety of features depending on the circuit. They are available for download by clicking here. This the best hearing aid amongst all maufacturers to stream music or TV, to hear in noisy environments, to hear on a cell phone. 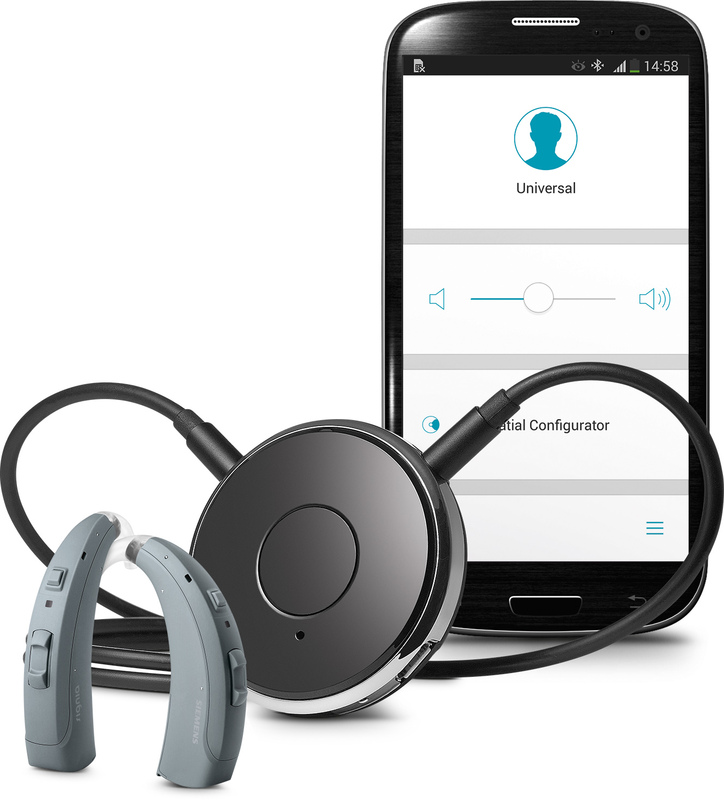 All Bluetooth cell phones can be paired to this hearing aid, not just Apple products. This is the best hearing aid I know about for individuals with a severe to profound hearing loss. It is water resistant, available at four levels of technology, and is often covered by state health insurance benefits. Bluetooth (BT) technology continues to be available from nearly every manufacturer of hearing aids. The reason is clear: BT improves clarity on the telephone, on television, in groups, and at long distances, when it is programmed into the hearing aid. Several manufactures have discontinued the use of streamers. Each manufacturer has a different strategy; most manufacturers enjoy collaborating with Apple to make apps available to add very helpful features to the hearing aid.